British Airways announced a new route to Italy on Thursday – Gatwick to Milan Bergamo. Flights start on 1st September and will operate six days per week. Whilst 45km from Milan itself, which makes it an odd choice if that is your destination, Bergamo is very well placed for Lake Como and is also within driving distance of Lake Garda. It will also open up access to a number of ski resorts in the Alps. Tickets are available, for cash and Avios, on ba.com. And additional flights to Cancun …. British Airways added a PS. to its press release on Bergamo to say that Cancun will move to five flights per week this Winter. Unhelpfully, BA didn’t tell us how many flights it was previously operating or which days will see the additional flights! 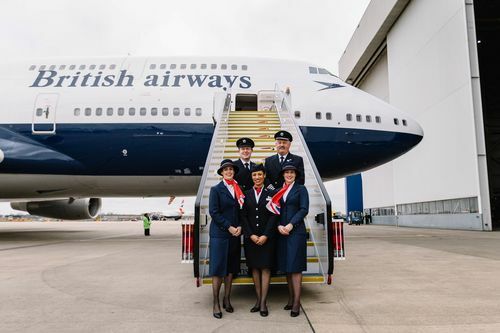 If you fancy a Cancun break, however, it is worth taking a look at ba.com as the usual two Club World and four World Traveller seats per flight should be freely available on the new service, whichever one it is ….. I ran an article yesterday on the new British Airways double Avios promotion. I wrote this very late at night and managed to miss out a key point. Whilst you have until the end of the year to earn double Avios on your BA flights, all flights must be booked by 19th April. Given that existing bookings made before 21st March don’t count either, I think the impact of this deal will be limited. As Good Friday is 19th April, I think we can expect the usual BA Easter sale to start around 20th April. Squeezing in a last minute booking to take advantage of double Avios may not necessarily be the best deal. The final British Airways aircraft to receive a retro livery as part of the ‘BA 100’ celebrations has been unveiled. 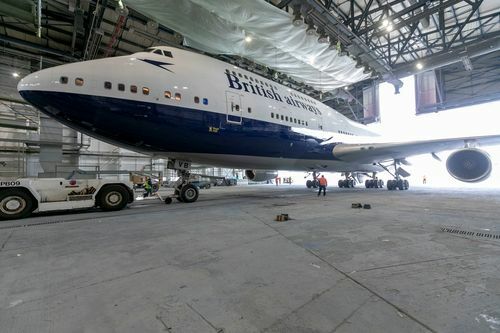 A Boeing 747 has been painted in the ‘Negus’ design which was originally used from 1974 to 1980. This was the first livery used by the newly formed British Airways following the merger of BOAC and BEA and represented the first time since 1938 that an aircraft had carried the ‘British Airways’ name. The red tail fin was a riff on the red BEA logo which you can see on another of the retro liveries now in use. The white and blue fuselage, on the other hand, harks back to the BOAC livery. Negus was an attempt to keep passengers of both airlines happy. The aircraft will retain this livery until it is retired in 2022. I was hoping to see it on Thursday from the Malaysia Airlines lounge in Terminal 4, where I spent the morning, but it was a little late arriving. I DID get to see the BOAC repainted Boeing 747 in the flesh, which does look impressive. Finally, for anyone wondering how many page views we generated on Thursday with our coverage of the American Express sign-up bonus changes, the answer is 97,993. This is a new one-day record, which I don’t want to beat for some time because it will probably mean something else bad has happened! We also broke 1,000 comments on one article for the first time. OT – HH visa (not very topical this weekend, I know!) As I won’t be relying on Platinum Amex for my gold status in future, I’ll be looking to the visa to retain it. I think the spend is £10k per year to retain gold but is this card year or calendar year? Or rolling 12 month period? Of course I’ve found it now – calendar year, £10k spend gets you old status for the rest of the year plus the following year. I’ll probably manage 24 months without the Platinum as we only refer each other and get travel insurance through work. If you do Diamond status match, are you sure spending £10k a year allows you to retain this status? Also, is Revolut still working with a Hilton? It allows you to retain gold not diamond. Only hitting the actual requirements will help you retain diamond after it lapses as status matches are normally a one time thing. @TGL, always worth trying a second status match if required, one came good for me. I think that refers only to retaining gold but I’d be very happy to be proved wrong. 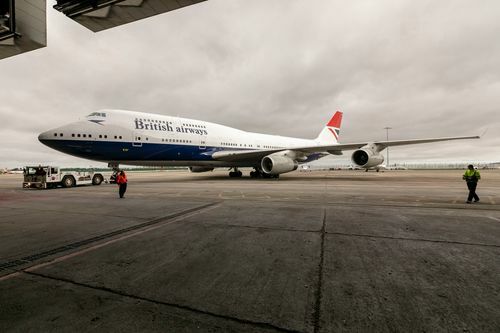 A bit OT – is there a reason why BA doesn’t fly to Cuba??? A combination of lack of customer interest and regulatory difficulties presumably. Well done Rob for the page count. At the end of the day Amex giveth and Amex taketh. In the same way as insurance, banks, utilities, just about everything in the UK, businesses rely on customer apathy, thereby offering huge signup bonuses and discounts. Amex clearly had a more savvy base who took advantage, so they changed the rules. End of story, move on. Hopefully further opportunities for points arbitrage will present themselves in due course as they often have done. Don’t cry over spilt milk, be happy you got into the action in time. Rob I would appreciate your always excellent insight on this.